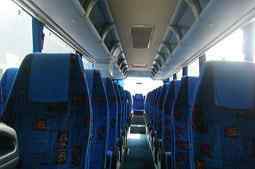 If you need a minibus or coach for your group to travel in Hatfield or the surrounding area then look no further than Hatfield Minibus Hire. We are well-established providers of minibus hire in Hatfield and a lot of our work comes from repeat business from customers satisfied with our service. Every aspect of what we do is carefully monitored to make sure we provide the best and we believe this gives us the edge over our competition. We prefer to say that our pricing is competitive and not cheap and we guarantee to do our very best to meet your needs. We recruit and train our staff in both customer service and industry knowledge, you will find them helpful, well-informed and very professional. Our drivers too are local to the area and know the road network and routes into and around London. They are courteous and will get your group to its destination safely and on time. All drivers are Criminal Records Bureau checked and hold the appropriate licences. Booking with some of our rivals can be difficult, not with us. Our website contains all the information you need to enable you to complete the on-line booking form. Once we review your requirements we will give you a no obligation, fully inclusive quote in as little as 30 minutes. If you prefer to speak to us our booking line is open 24/7. Your call will be answered by a member of staff trained to assess your requirements and make sure you book the best option for your party. Airport runs (Heathrow 39 miles; Stanstead 65; Gatwick 70. We can even provide a minibus in an emergency should you find your party has to travel at very short-notice or another provided has let you down at the last-minute. Contact us and we will take it from there. There are occasions when a minibus simply isn’t large enough for your party or you are travelling some distance and want a greater degree of comfort. These really are fabulous vehicles with comfortable seats, GPS navigation and on-board entertainment systems. We can even arrange a touring itinerary for you. It doesn’t matter whether you fancy a trip to Scotland, the Irish Republic, or across the Channel to Europe, just tell us where you want to go and we will do the rest. We want to give you the best so we deal with the best manufacturers. Our fleet includes, Volvos, Ford Transits and a Mercedes 16 seater. For larger parties we have a fine range of Iveco Coaches. All our vehicles are regularly maintained and serviced according to manufacturer’s instructions. We never send out a dirty minibus or coach so be assured that your vehicle will have been valeted inside and out before it comes to collect your party. Hatfield is 21 miles north of the centre of London, 41 miles from Cambridge and close to St Albans, Aylesbury, Milton Keynes and Cambridge so the opportunities for a day our are endless. Hire one of our minibuses to travel into the West End to see a show; Billy Elliott and Phantom of the Opera are just some of the great productions on during 2016. London’s famous sporting stadia, Wembley, Wimbledon, Lords and the Oval are within easy reach. Or perhaps you want to take a group of children to Clacton-on-Sea 85 miles away or travel 52 miles to Southend-on-Sea. Hadfield is a town in the county of Hertfordshire covered by postcode areas AL9 and AL10; it is home to 30,000 people. The town is divided by the railway line into Old Hatfield, which dates back to 1086 and the Domesday Book and has associations with Elizabeth I, and the new, post WWII town around St Albans Road with modernistic architecture typical of the period. De Havilland opened an aircraft factory in the town, producing the Mosquito Fighter and Vampire jets before being eventually taken over by British Aerospace, the towns biggest employer until it closed in 1990. Today Ocado, David Lloyd Leisure and EE (formerly T-Mobile) all have headquarters in the area. Historic buildings include the Old Palace, dating from 1497 which now hosts medieval banquets in its only remaining wing and St Etheldrada’s Church founded by the monks from Ely Abbey. The town has The Galleria shopping centre an Odean cinema, Mill Green Museum and a theatre, the Weston Auditorium. Fast trains take commuters from the railway station to Kings Cross in 20 minutes. 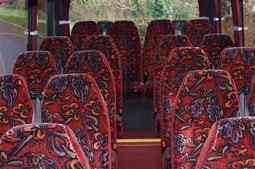 If you are looking for first class minibus or coach hire in around the Hatfield area, contact us today.